Baby, let the games begin! In the past few weeks, Taylor Swift has been back to work doing what she does best…headlining a stadium tour. 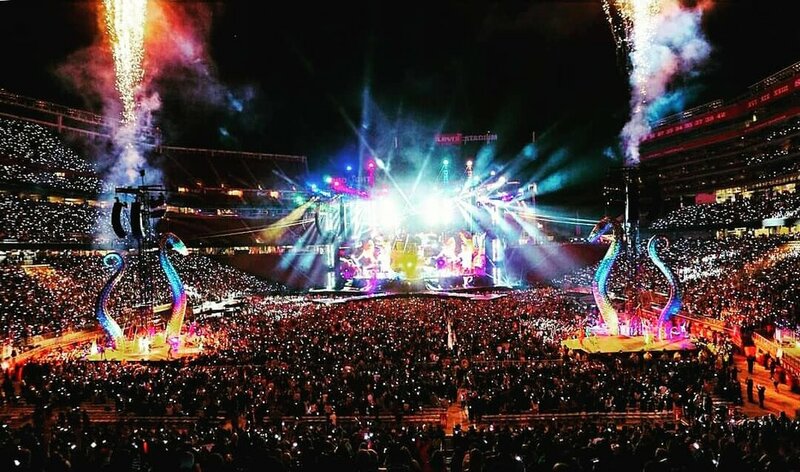 The Reputation Stadium Tour, which kicked off in Phoenix on May 8th, has been nothing less than spectacular. With a setlist of over 24 songs, A-list opening acts, and show-stopping costumes, this tour is possibly going to be Swift’s best yet. The setlist is made up of 14 out of 15 of Swift's latest bops from her latest full album release, "Reputation." However, she does perform a few "mashups" through the show including a "Style/YBWM/Love Story" mashup and a clever crossover of "Bad Blood/Should've Said No." This perfect combination of heavily based dark and edgy numbers mixed with more slowed down lyrical numbers shows just how versatile Swift is as an artist. Swift even brings out Charli XCX and Camila Cabello, her opening acts, to perform "Shake it Off" with her on her two enormous B stages. 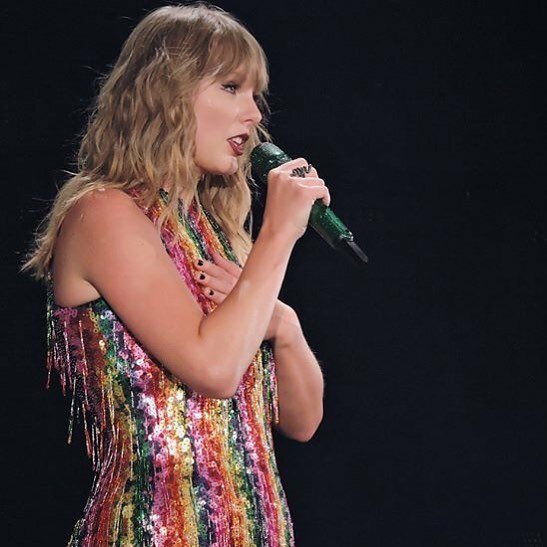 While most of her costumes are black and inspired by her latest album's aesthetic, Swift still manages to frolic around in some colorful and sparkly costumes that cannot help but make fans wonder...is the old Taylor really dead? As for the stage, it was actually three separate stages, the largest of them which was 110 feet high. There were over a dozen professional dancers, a top-notch band, and lots of inflatable snakes accompanying Taylor on most of her numbers. She also had amazing visuals throughout the show on jumbo screens, which had never before released videos of her. 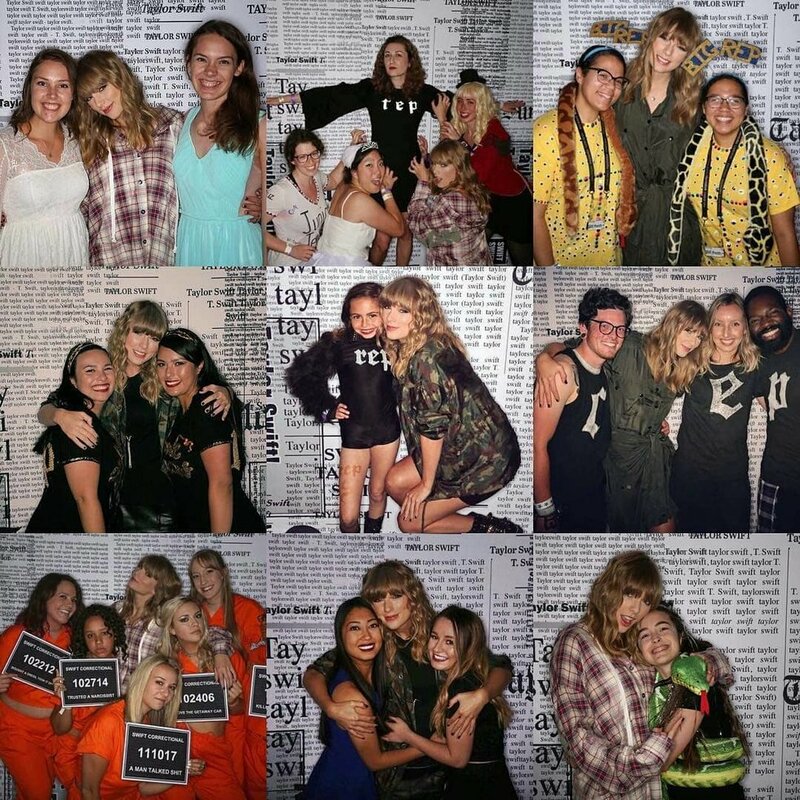 Just like all of her past major tours, Taylor has chosen to have her parents and friends handpick fans to meet her backstage after the show, free of cost. Sometimes these fans are fans whom Taylor has been secretly stalking (I was one of them!) and wants to meet. The REP room is the name of the hangout spot where Taylor meets her fans after the show and is filled with lots of cool drinks, food, and pictures. The room's theme is based on snakes, old-time actresses, and of course, Ms. Swift herself! So in case you might be interested in attending a show, check out the dates below to see if Taylor is coming to a city near you! July 10: FedEx Field in Washington, D.C.
July 11: FedExField in Washington, D.C.